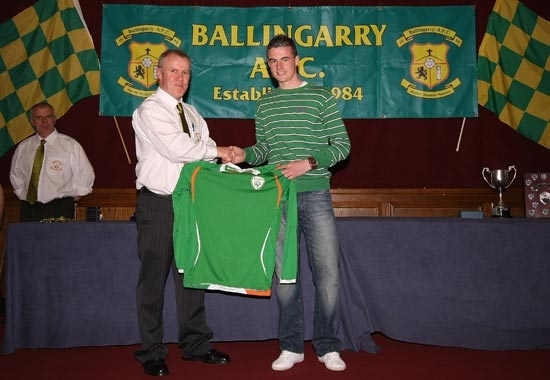 Ballingarry AFC starlet Anthony Forde began pre-season training with English Premier League side Wolverhampton Wanderers on July 2009 to become the first player from the schoolboy ranks of Ballingarry AFC to make the move to the professional ranks overseas. The Ireland schoolboy international began training with Wolves youth team and played with their under 16 side. 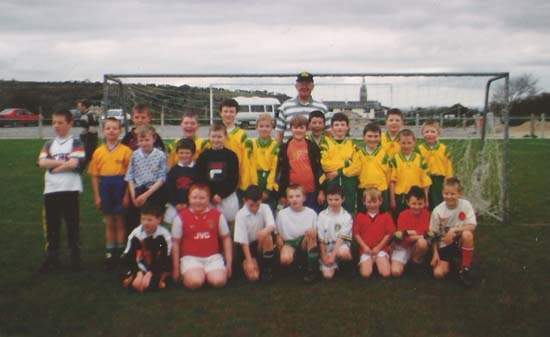 Anthony who had just sat his Junior Certificate in Colaiste na Trocaire, Rathkeale when he moved, is a son of Noel and Christine and has one brother Kevin and a sister Leanne who both played football with Ballingarry AFC. “We are delighted, it’s a great honour for Ballingarry AFC and the Limerick Desmond Schoolboy league” Anthony’s father Noel explained. 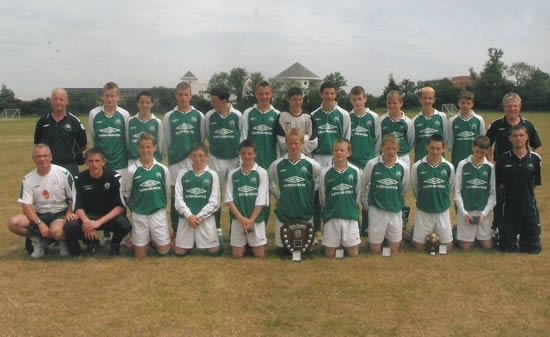 While Anthony had played for Ireland under 15s he also had 8 caps for the under 16 side by the time he moved to Wolves. While a host of English clubs showed an interest in Forde with visits to Blackburn Rovers, Derby County and Aston Villa it was Wolves who won the race for his signature. 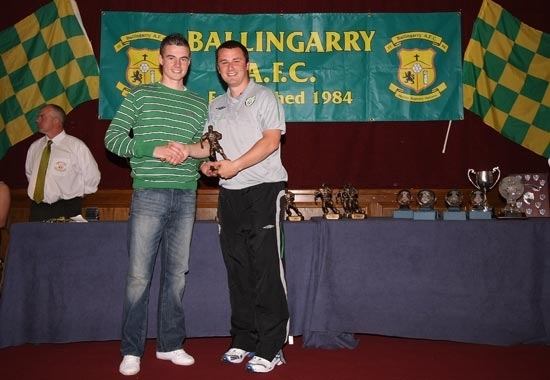 Ballingarry AFC Chairman Pascal Moynihan was loud in his praise for the player. 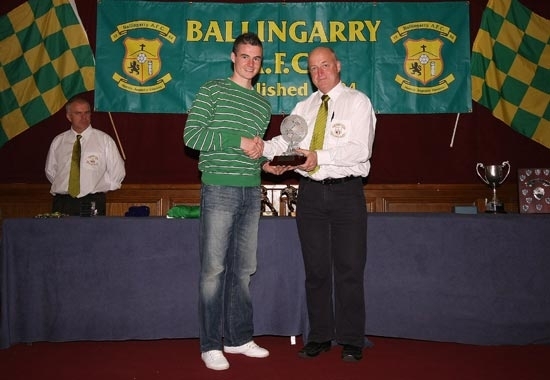 “Anthony has played with Ballingarry since he began to come to the pitch as a five year old and has played with the club all the way up along”, said the club Chairman. “This is fantastic for him and for our club, he is a very talented young man and as well as that he is a lovely boy and has a great attitude”. 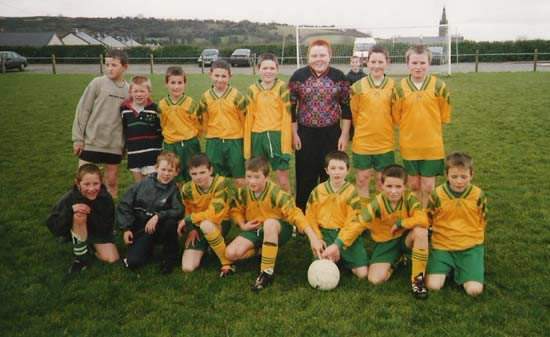 Makes his debut for Ballingarry AFC under 10 sides during season 1998/99 aged just six. 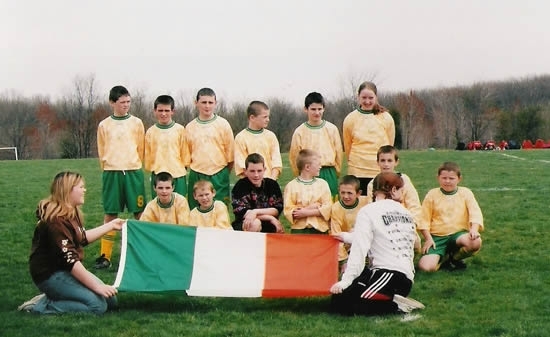 Anthony got his first taste of “International” football at the tender age of 10 when he was part of the under 10 and 12 Ballingarry teams that hosted Damascus Stingers from Maryland USA in a test series hosted by Ballingarry AFC. 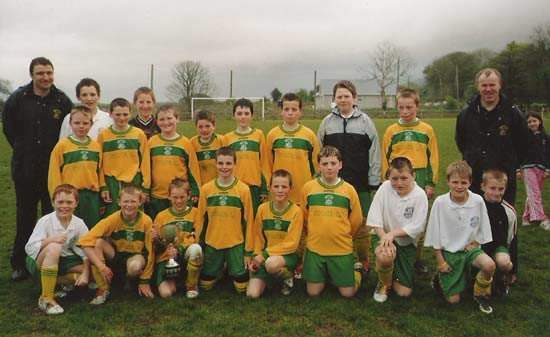 The Under 11 cup final of 2004/05 brings his second winners medal in the Green and Gold of Ballingarry AFC when the cup is secured in May 2005. 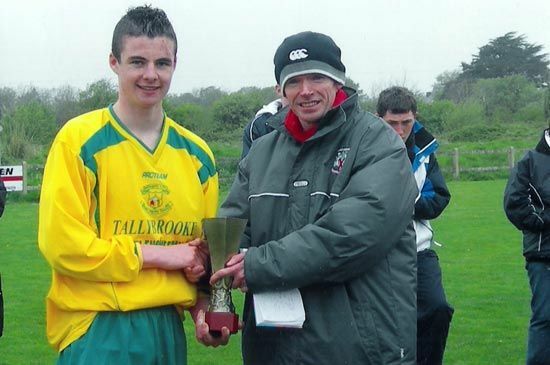 His next visit to the winners enclosure was in May 2006 when his Ballingarry side lifted the under 13 cup at Clonreask. 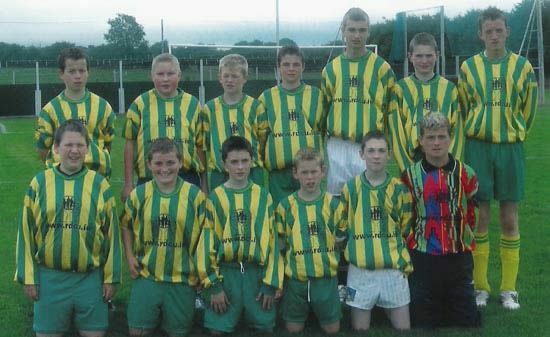 By now he was a major part of the LDSL Under 13 Kennedy Cup squad having already captained the side in a Munster final he would receive a winners medal with the squad in June 2006 from the Shield 2 success. Then in August he was called up to the under 17 squad, while still just 15, for the Syrenka International Cup in Poland where he played against Sweden in his debut (2/9/09) and Romania (4/9/09). 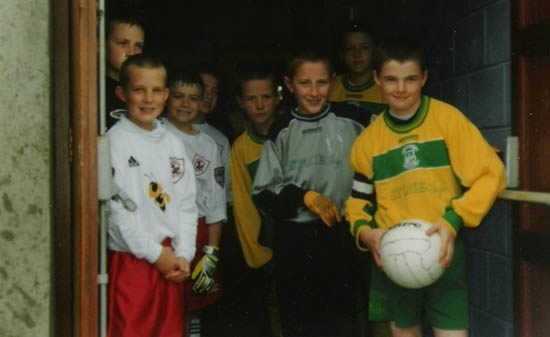 Finally on August 19th 2009 Ballingarry AFC said goodbye to Anthony Forde with a function in his honour at the Woodlands Adare which was attended by the club officials, his family and team mates where the club made a presentation of a laptop to the player. 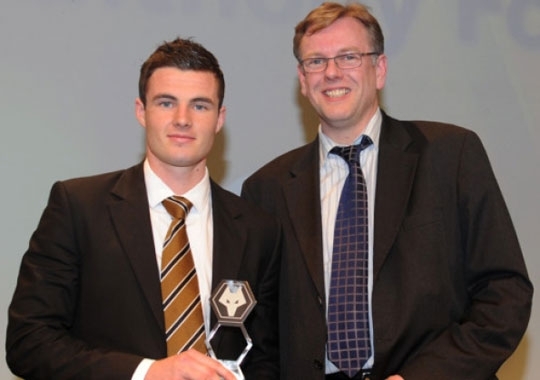 Anthony receives award from Chairman Paschal Moynihan on his selection as Wolves Academy Player of the Year 2010-11. During September 2009 Forde enjoyed a scoring debut with Wolves under 16 side when getting the equaliser in a 3-3 draw with Derby County. Unfortunately he also sustained a foot injury that restricted his movement, however it didn’t keep him out of the side for the next game. He has made steady and impressive progress and has settled well. After recovering fully from the foot injury sustained in September it was back to business with Wolves 16s side and a trip to Qatar to take part in the Aspire Academy invitational tournament. He played a part in both games which unfortunately they lost before returning to Wolverhampton where he featured against both Bolton Wanderers and Stoke City. During his mid term break he returned home to Ballingarry to attend the clubs 25th anniversary dinner in Adare on October 25th. November 2009 has proved to be a month of activity for Forde seeing him feature in several games for Wolves. He scored a goal as Wolves beat Everton (2-1) and featured against Manchester City (loss) Liverpool (lost 4-0) and Crewe (won 2-1). He was also called into the youth squad for the FA youth cup defeat at Liverpool (2-0). He finally signed on his sixteenth birthday for Wolves and they are now awaiting the return of his registration. He had settled well at college while he had remained injury free. December has proved to be a barren month for Anthony Forde as the weather has insured that all activity on the pitch was suspended. The highlight for the lad was coming home for the Christmas period, spending ten days in Ballingarry with his family. Anthony continues to make progress at Wolves where he has just broken into the clubs reserve team. Having signed scholarship forms at the club during the Summer he has since made two appearances in the reserves. Against Everton he came on for the last twenty minutes and last Tuesday (September 14th 2010) he made a fifteen minute appearance against Liverpool in a 2-0 defeat at Prenton Park. In his latest outing, Anthony scored a cracking consolation goal for the Wolves reserves in the Birmingham Senior Cup. Anthony played the full 90 minutes for the Wolves reserves during their 1-0 loss at the Hawthornes against West Brom on November 16th last. He was on the scoresheet during Wolves Under 18 premier league 3-2 away win At Crewe Alexandria where he scored the second following a strong run. Anthony Forde has been called up to the Irish under 19 squad for the friendly double header against Croatia on February 8th and 10th next. 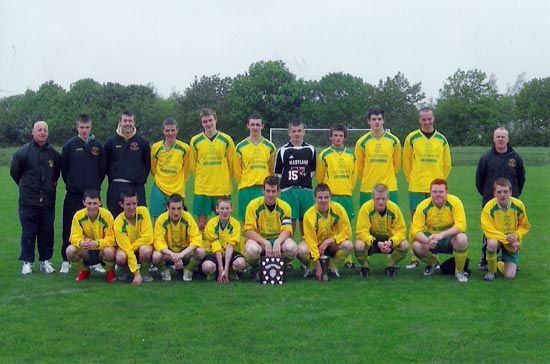 This is the first occassion that the former Ballingarry schoolboy and present Wolves reserve had got the nod for the 19s. 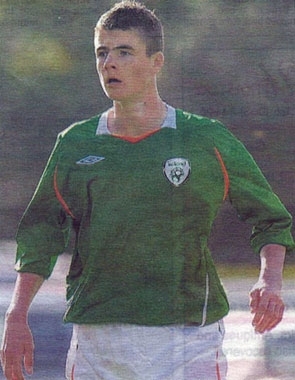 Anthony Forde made his Under 19 international debut in Umag on 10th February 2011 when the side recorded a 2-1 victory against hosts Croatia. Forde was involved in both Ireland goals first after ten minutes when he was part of the move that lead to Conor Smith giving Ireland the lead and then in the 23rd minute when his corner was headed home by Eoin Weaner. He saw 83 minutes of action before being replaced. This was the second friendly that the side played against Croatia following a 1-1 draw in the first game on Tuesday a game in which Forde saw no action. Anthony Forde played 75 minutes of the Ireland u-19 friendly against Cyprus in Larnaca on Saturday last (26-3-11) during the 0-0 draw. The squad are preparing for next May’s UEFA elite stage qualifiers. Forde impressed during his latest appearance for the team before being substituted. 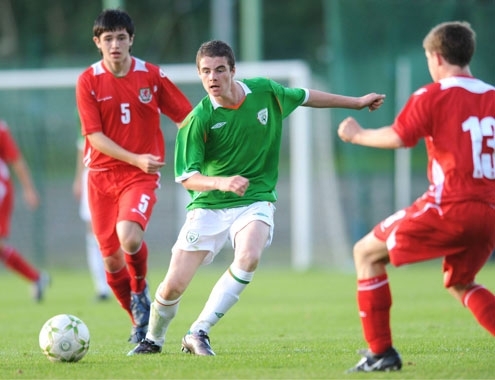 Anthony Forde has been named on the Republic of Ireland UEFA U-19 squad to compete in the elite group phase in Poland this month May 2011. They will play against Poland, Italy and Ukraine with the group winner to compete in the finals in Romania in July. In addition Forde has been voted Wolverhampton Wanderers U-18 academy player of the year (2010-11). 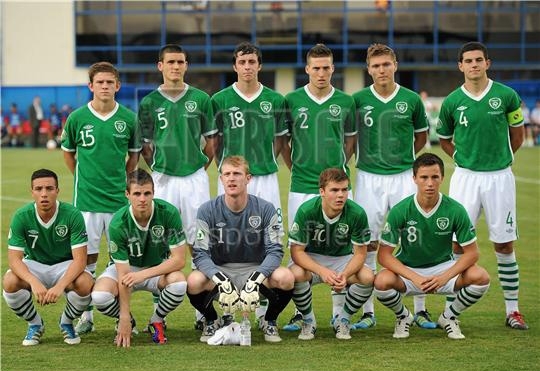 Anthony Forde has helped Ireland qualify for the UEFA U-19 finals to be held in Romania in July. Forde played in all three Elite Group qualifying games against Poland (Tuesday May 24) which they won 1-0. Then on Thursday May 26th he again played a full part in the 0-0 draw with Ukraine while in their final game against Italy the had a glorious 3-0 win with Forde playing the first half. This is a major achievement for the team and in particular Forde. Ireland Under 19 manager has called Anthony Forde into his squad for the Under 19 UEFA finals in Romania in July. The team will play against Greece, The Czech Republic and finally Romania in the four team group. In addition Anthony signed professional for Wolves on July 1st. 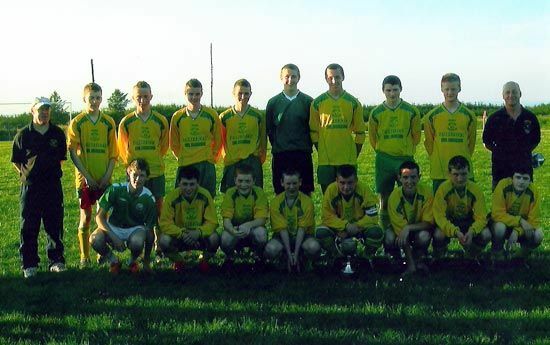 All associated with Ballingarry AFC were left feeling extremely proud as Anthony Forde played a major part in the Republic of Ireland Under 19s progress to the semi finals of the U-19 European Championship in Romania last week (July 29th 2011).. Ballingarry schoolboy product Forde played in all four games that the team contested and performed with distinction against Greece in the 2-1 win (20-7-11), Czech Republic in the 2-1 loss (23-7-11), Romania in a 0-0 draw (26-7-11) and finally against Spain in the 5-0 semi final loss (29-7-11). Photos below. Also in August, Anthony made his senior Wolves debut in the 2-0 friendly win against Real Zaragoza on Saturday August 6 2011. He replaced midfielder Matthew Jarvis in the 72nd minute with manager Mick McCarthy full of praise for the player following the game. He was also given his own squad number which will be number 37. Anthony made his full debut for Wolves away against Northampton Town (Tuesday Aug 23rd 2011) when he was introduced in the 85th minute in the 4-0 Carling Cup 3rd round win. Anthony Forde has been named in the Irish under 19 squad that will travel to Bulgaria between October 6th and 11th to compete in the UEFA 1st Phase qualifiers. Paul Doolins squad are grouped with Bulgaria, Bosnia and Russia with the top two progressing to the elite qualifying phase. Anthony Forde scored his first Ireland goal when he found the net in the 88th minute against Bulgaria in the Under 19 1st phase qualifying game (October 6th 2011) during an emphatic 4-1 against the hosts. 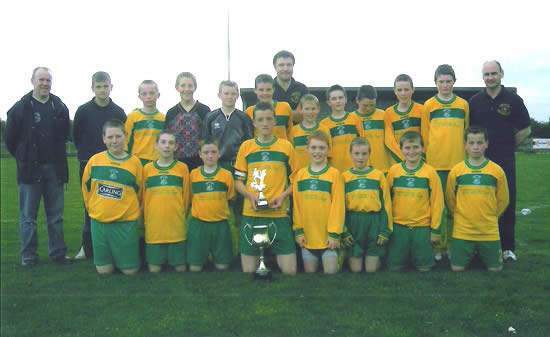 Not for the first time has Ballingarry AFC been the first to achieve within the Limerick Desmond League. 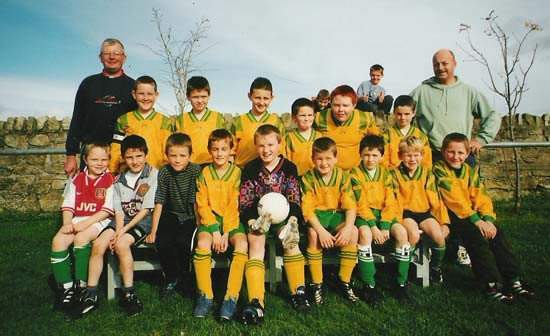 Be it the purchase of their grounds, the development of an Astroturf facility or providing ballboys for an international game Ballingarry AFC has always been ahead of the posse. So it will come as little surprise to those that know their local football that the club has now become the first club within the Limerick Desmond Schoolboys League to see a former schoolboy make his English Premier League debut. The club and parish of Ballingarry were extremely proud when Anthony Forde made his league debut for Wolverhampton Wanderers against Chelsea at Stamford Bridge last Saturday when he replaced Ronald Zubar for the final fifteen minutes of the game. This has been a wonderful season for the popular Ballingarry boy. Already he has played for Wolves in the Carling Cup game away at Northampton Town while he has been steadily accumulating international caps at under 19 level for the Republic of Ireland while playing at the finals of the EUFA U-19 competition in Romania last July. He also played a major part in Ireland qualifying for the elite phase of the group qualifiers of that competition when he played in all three group games in Bulgaria last October where he scored two goals, his first against Bulgaria was also his first for Ireland. If that wasn’t enough he signed professional with Wolves on July 1st this year. It has been a roller coaster year for the boy following his selection as Wolves Academy player of the year at the end of last season, the first Irish boy to win this award at Wolves. 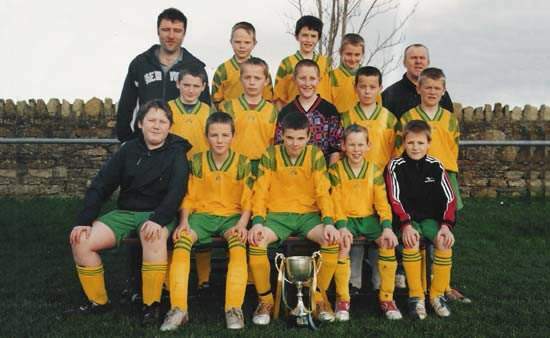 Let’s hope the dream continues for the Boy from Ballingarry. On December 27th 2011 Anthony Forde made his full English Premier League debut when he was named in the starting eleven against Arsenal at the Emirates Stadium in front of 59,686 spectators. Forde played 71 minutes before being substituted by Guedioura, by then he had hepled Wolves secure a point after Steven Fletcher (38 mins) equalised Gervinhos early Arsenal goal (8 mins). He made his full home debut for Wolves on January 2nd 2012 when he started against Chelsea. He was substituted at half time in the 2-1 defeat. 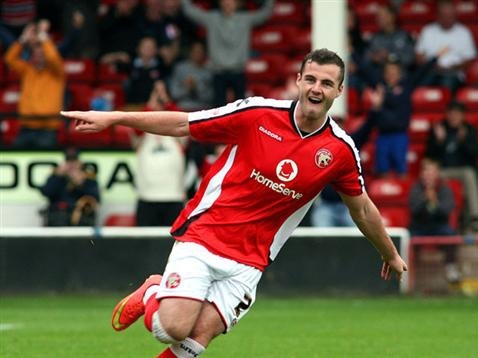 Anthony Forde has been added to the Ireland under 21 squad for the frst time. Manager Paul Doolin added Forde to the squad to play Hungary and Italy in the EURO qualifiers. Ireland will play Hungary on Thursday September 6th 2012 and will face Italy on Monday 10th. Ireland need to win both games to keep their hopes of qualification alive. 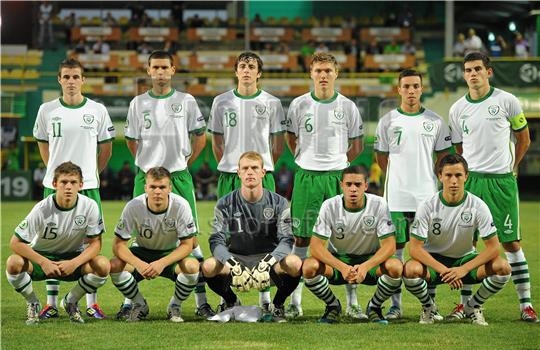 Forde made his Ireland Under 21 debut against Hungary on Thursday September 6th in their EURO 2013 qualifier loss (2-1) in Kecskemet. Forde was introduced as an 88th minute substitute for Aidan White of Leeds United. On Monday September 10th in Casarano he made his full debut for the 21s when he started in their final group game in what turned out to be an historic 4-2 win for Noel Kings men. However the result was of little significance to Ireland as they were already out of the competition following their 2-1 defeat in Hungary. It proved a day of mixed emotions for Forde as he was sent off for a second yellow in injury time at the end of the game. 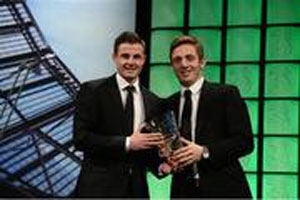 On February 3rd 2013 Anthony Forde was voted Republic of Ireland U19 International Player of the Year at the FAI Awards 2013 held at RTE studios in Montrose. Forde, who made 13 appearances scoring two goals during his under 19 international career, beat John O’Sullivan of Blackburn Rovers and Sean McDermott of Sandnes ULS to the award. The following Wednesday Feburary 6th Forde started for the Ireland U21s as they recorded a 3-0 friendly win against Netherlands at Tallaght Stadium. 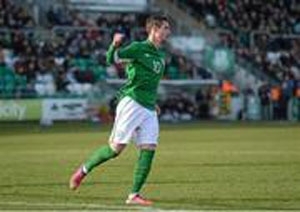 Forde created both goals for Millwalls Aiden O’Brien to give Ireland a 2-0 half time lead. In the second half he scored his first goal for the 21s when he converted from the spot in the 57th minute. “The Iron signed Wolverhampton Wanderers winger Anthony Forde on loan until the end of the season. The 19-year-old left winger goes straight into the squad for Saturday’s away game with Notts County. Forde moved to Wolves in the summer of 2009 to become part of their academy group. He made his senior debut in August 2011 as a substitute in a League Cup tie against Northampton Town, and his Premier League debut on 26th November 2011 at Chelsea. 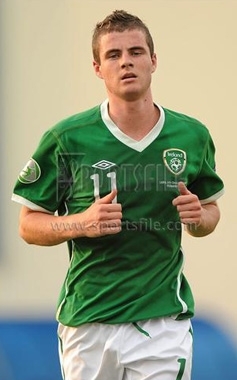 He has represented the Republic of Ireland at numerous youth levels too. On March 16th 2013 Forde, wearing the number 23 jersey, made his debut for The Irons during a 1-0 League 1 defeat at Notts County. He was substituted after 74 minutes. Following a frustrating season (2013-14) during which he found it difficult to cement a place in the Wolves side that clinched the League 1 title he finally decided to move on and on August 12th 2014 transferred to League 1 side Walsall signing a two year contract. Their Website announced his arrival as follows: Saddlers snap up Wolves wide-man…THE SADDLERS have come to a transfer agreement with Wolves for the signing of Anthony Forde on a two-year contract. “Anthony is a player who came in to train with us a few weeks ago,” said manager, Dean Smith. “He is someone that I noted when we played against Wolves in a friendly a couple of years ago and we have kept tabs on him ever since. Forde was given the number 27 shirt. Anthony made his League One debut for Walsall on Saturday August 16th 2014 during their 0-0 home draw with Bradford City. He was introduced as a 75 minute substitute for Malvind Benning. 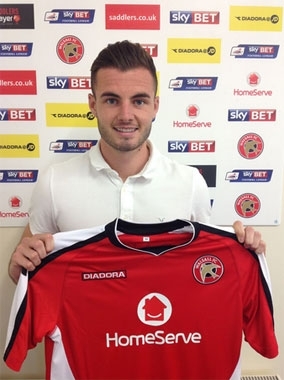 Anthony Forde scored his first ever goal in professional football for Walsall on September 27th 2014 in their 3-0 League One home win against Doncaster Rovers. He fired home in the 64th minute in front of 3,741 fans. Anthony Forde and THE SADDLERS will be making their first-ever appearance at Wembley Stadium on Sunday, March 22nd 2015 in the Final of the Johnstone’s Paint Trophy. Forde played a major part in securing their final slot having scored their opening goal in the 2-0 success in the first leg of the of the area final against Preston North End on January 7th last while the second leg on January 27th 2015 ended goalless. On March 22nd 2015 Anthony Forde realised every young footballers dream when he played in a Wembley final. Over 60 family friends and former team mates travelled to probably the most famous sporting venue in the world to join with 72,315 fans for the Johnstons Paint Trophy final. Unfortunately for the Ballingarry boy his side Walsall were undone on the day as Bristol City took the trophy on a 2-0 scoreline. Forde, who had recently returned from injury, started in the outside right position and lasted 74 minutes until he was replaced by Ashley Grimes. 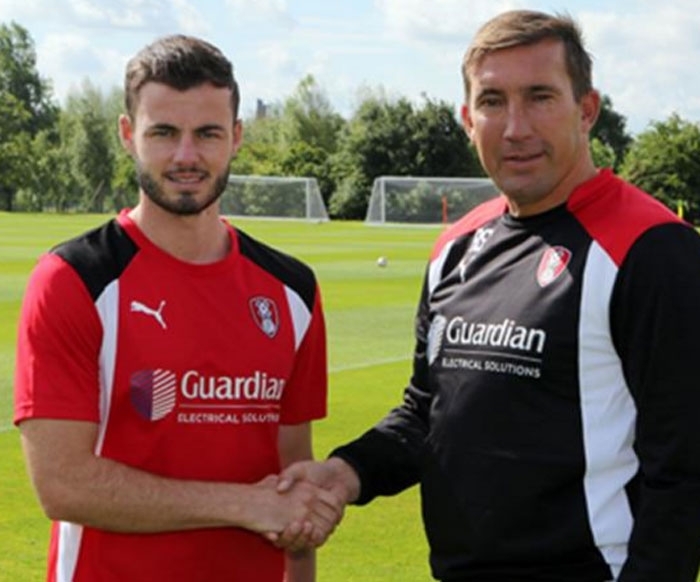 New signing Anthony Forde admits he can’t wait to get started in Rotherham United colours after agreeing a three-year deal at AESSEAL New York Stadium. The highly-rated winger, who joined from Walsall for an undisclosed fee on Thursday, has set his sights on establishing himself in the second tier after an impressive campaign with the Saddlers which saw them miss out on promotion in the Play-offs. Forde is keen to take the next step in his career with the Millers and is confident that he can make the step up after becoming Alan Stubbs’ first signing as Rotherham United boss. “I know they want to play football and it’s an upcoming club and I know I can come in and hopefully make an impression and hopefully have a good season in the Championship” he told www.themillers.co.uk. The 22-year-old Irishman is the first new face among the Millers group but with a grueling pre-season programme imminent and a trip to Poland on the horizon, Forde is looking forward to getting back amongst the action with his new teammates. In total Forde made 78 appearances for Walsall, including a Wembley appearance in the Johnstons Paint Trophy final, and scored 7 goals. Anthony Forde got his first goal for Rotherham in the EFL CUP (League Cup) first round defeat to Morecambe. Forde scored his sides third goal in the 83rd minute of a thriller to send the game to extra time where The Millers lost eventually 5-4 to their visitors. May 2018 update – Forde and The Millers promoted to Championship. 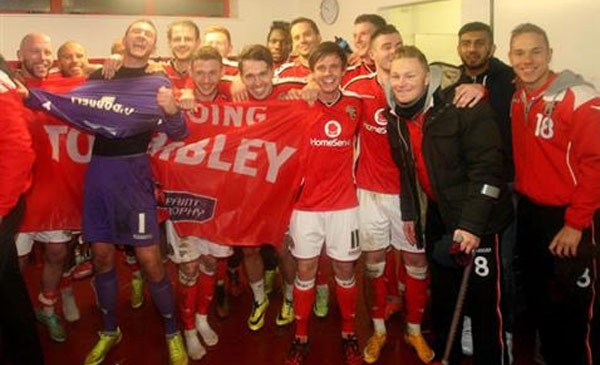 Congratulations to former Ballingarry schoolboy Anthony Forde who is celebrating Rotherham FCs return to the Sky Bet Championship for next season following their nail-biting 2-1 League One play-off win over Shrewsbury Town at Wembley on Sunday May 27th 2018. 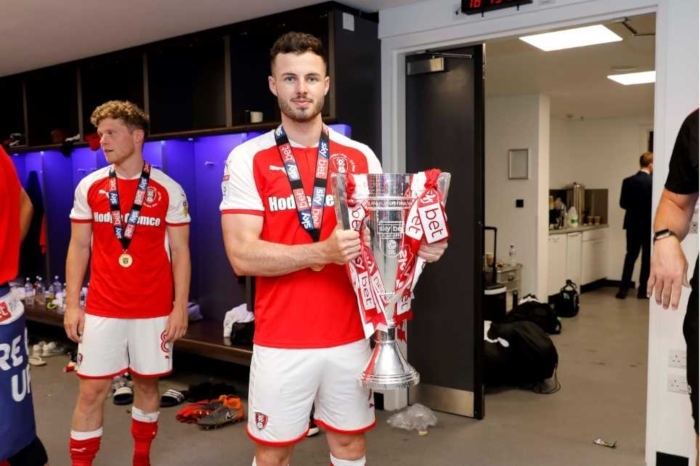 Highly rated 24-year-old Ballingarry native Forde was introduced as a substitute in extra time as Rotherham secured a dramatic victory to seal their return to the Championship for the 2018-2019 season. Rotherham, relegated from the Championship just 13 months ago, had the better of the chances and were worthy winners, thanks to two goals from defender Richard Wood. 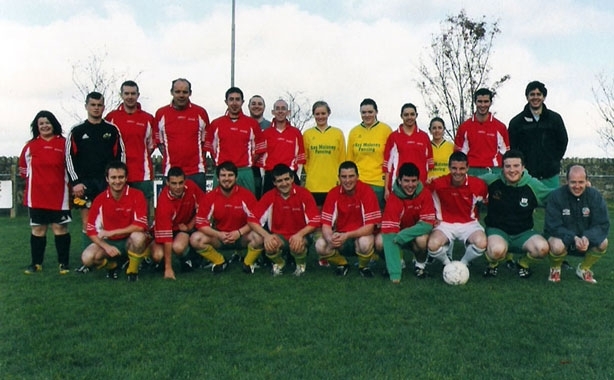 Ballingarry AFC - Founded 1984 - Members of Limerick Desmond Football League, Football Association of Ireland.